This site offers an extensive set of links to legal history materials of various kinds, and is especially strong in its overview of primary source databases. Hansen also maintains: a legal history blog, “Juridicus,” which tracks discussions of legal history in the mainstream media; a forum for discussion of legal history by scholars and other interested parties; an archive of transcribed interviews with leading legal historians from around the world, either about their experience teaching legal history, or aspects of their research; and a calendar of events in legal history, including public lectures, conferences, and grant deadlines. Extremely useful compilation of links to numerous web resources, including: primary source web archives in American and non-U.S. legal history; archival holdings of legal materials at American research libraries; and online guides to state and federal court records. A website dedicated to the study of Roman law with useful links to a variety of materials, including a list of civil law journals, historians interested in Roman law, and Roman law primary sources. Links to wide variety of online materials relating to medieval European law. 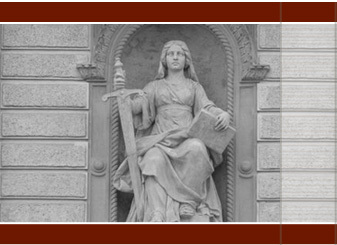 German and English language website with introductory overviews of the topic, bibliographies, and links to primary source databases and other European legal history sites. Index to numerous research guides relevant for the student of legal history in Britain and the British Empire, searchable by subject. Links to a variety of legal history resources, weighted toward the recent past, including chronologies, primary source web archives (particularly federal appellate decisions, administrative rulings, and treaties), and legal dictionaries and encyclopedias. Extensive compilation of links to public documents in American legal history, with a strong bias toward constitutional law. Links to: bibliographies of recent monographs and articles in legal history; leading journals in legal history; a sample of syllabi in legal history; and some primary source web archives. Annotated overview of web resources on legal/constitutional questions pertaining to reproduction, mostly in the U.S., but also abroad. (Some links within the page are broken). Gateway to variety of sites on constitutional law, legal systems, and human rights in Latin America, including regional and national sites, as well as governmental, non-governmental, and library resources; weighted toward the contemporary period. Collaborative faculty-graduate seminar that has posted several broad overviews of Afghanistan’s legal history, each of which sketches research agendas in the field. Eclectic set of links to primary source databases, archives, and websites of African courts, with a strong focus on the contemporary period. Australia legal history gateway; particularly useful for links to non-U.S. library guides to legal history, and web overviews of legal history outside the U.S.
Includes extensive bibliographies of primary sources, links to primary sources and discussions of the topic area, and some of Fraas’ own research notes. Extremely rich compilation of published primary sources law articles, and useful links, along with a research guide to case law, information about Indian colonial lawyers, bibliography of secondary sources, research notes and Sharafi’s perspectives on the field. Weighted toward the later colonial period. Extensive gateway to Roman, Medieval, Common law, and Old Dutch law, compiled by a Dutch archivist. Each section contains explanatory notes, reading lists, and links to more specialized digital resources and archives. Vervaart also maintains a legal history blog. Overview of oral history collections involving public and quasi-public regulatory agencies and the regulatory process, including interviews of regulators, lawyers, and judges. Mostly focused on the U.S., with annotated links to digital collections. Particularly useful for projects on regulatory governance since the 1960s.